IULIA GHERGHEI: Tough question! Poetry is my shield against the ugliness of this world. Like a sunscreen, poetry reshapes all the steep angles and filters all the consequences of envy. IULIA GHERGHEI: Same as always: to bring to the surface the naked truth on all the topics in hand at this moment. IULIA GHERGHEI: Oh, but I don't have a process, where the inspiration strikes, I start writing, in the bus, at my place of work, in front of the TV set, sometimes, even when I am waiting another poet to read his creation at a poetry reading venue. IULIA GHERGHEI: No, it didn't happen. I had many repetitive nightmares as a child so I evaded them while awake. For some of these nightmares I find answers even now. IULIA GHERGHEI: It seems my most important topic in my poems is the weather and its effects on my mood. IULIA GHERGHEI: I remember my first poems were in fact little attempts of understanding death, to overcome the fear towards it, to cope with my mother's suicide. 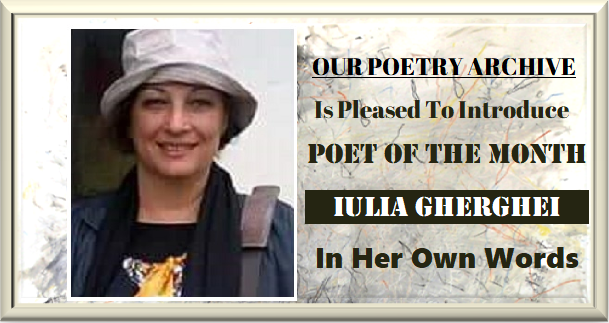 IULIA GHERGHEI For me, being a poet was written in my genes, I had no chance but to be a poet. I am a poet’s daughter. IULIA GHERGHEI: I read my first poem to my classmates on a poetry contest organised by our teacher. I won that contest. Later on, I would read my poems to my father as he was a poet too. 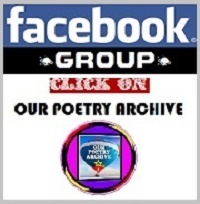 IULIA GHERGHEI: I have many poets friends on Facebook, I read them and, yes, I learn from them. My favorite poets are Romanian and they are Nichita Stănescu, Grisa Gherghei and Marin Sorescu. IULIA GHERGHEI: I prefer to challenge the reader, that way the poem gets under their skin and starts working its spells. IULIA GHERGHEI: In one way my poems are unique but lately I noticed some recurring themes too. It seems I have an obsession for fog. Once in my youth, I got lost on a mountain trail and to make everything worse, the fog was so thick that I couldn't see two steps in front of me. IULIA GHERGHEI: No, I don't think about poetry in these terms, poetry is poetry. IULIA GHERGHEI: My poems are about me most of the time. The world issues stick in their ugly face and I do write about them occasionally. IULIA GHERGHEI: My poems are short enough not to bore the reader. My poems are intricate so the reader must read them at least twice to sip their meaning. My poems are addictive. The last assertion is more of a wishful thinking scenario. IULIA GHERGHEI: As I see it, there is only one factor, authenticity. IULIA GHERGHEI: Sure, imagery is important but it is only a mean to an end. One might crowd its poem with so much imagery that the message gets lost, suffocated, completely out of focus. IULIA GHERGHEI: Nowadays our poets prefer to write poems without rhyme, as I do myself. IULIA GHERGHEI: For me and my sanity it is important to write. 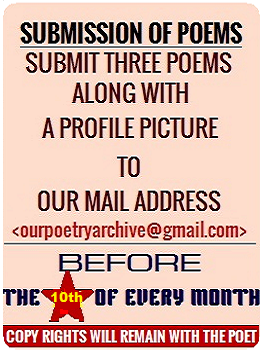 If I am a good poet or if my poems are good, my readers have to decide this issue. IULIA GHERGHEI: All the poets are important. You must be patient and search for the meaning. The main property of today poets should be straightforwardness. We live very dangerous times. IULIA GHERGHEI: I don't know if a poem must be necessarily understood, it can be tasted, felt, smelt, it may leave the reader in total amazement, struck by beauty or by darkness, scorched by pain or elevated to the gods… A My poems are a mean of transportation to intricate universes. IULIA GHERGHEI: The mood in my poetry is different. A different kind of dark, a different kind of sad. IULIA GHERGHEI: In the majority of my poems I am the speaker, the story teller. IULIA GHERGHEI: The message of my poems is that healing, happiness, fulfillment are a process not a goal. IULIA GHERGHEI: Yes, the social media helped me a great deal. My voice got heard. My poems were appreciated. I have many friends that read my writings and I am so very grateful to them but success was never my goal. 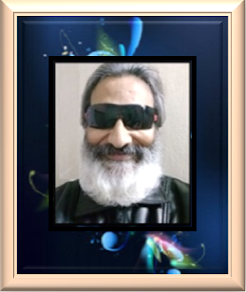 I hate promoting myself so for sometime now, I post my poems only on my wall, only for friends. IULIA GHERGHEI: Thank you for interviewing me! 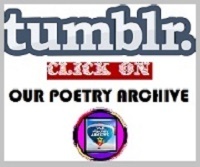 OPA, the web journal is a huge opportunity for all the contemporary poets.